Drain contractors across the nation have seen a recent surge in business as blocked drains cause havoc throughout the UK. 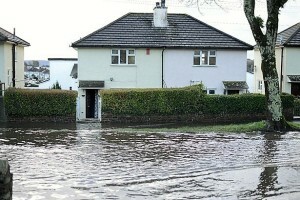 From York to Burton, Stoke to Scotland, hundreds of residents are experiencing the misery of flooding as poor drainage systems prove unable to cope with the infamous British weather. In Plymouth alone, there were over 200 reports of flooding due to blocked drains over the festive period, and in Burton over 1000 streets are thought to be affected by poorly-maintained drains, and Councillor Syed Hussain has been working hard to help tackle the problem. Left untreated, blocked drains can have unpleasant and costly consequences for residents, businesses and the general public. During heavy rainfall, blocked drains can lead to widespread flooding, causing water damage, travel disruptions, and unpleasant smells from the back-up of sewage and waste-water. The recent cold weather we’ve been experiencing poses an additional hazard, freezing surface water into dangerous sheet ice. Given the scope of this problem and the potential financial, emotional and physical costs of drain blockages, it’s unsurprising that residents and businesses across the UK are calling on local councils to take action. Blocked drains can be caused by a number of different factors. Severe weather, such as heavy rain combined with strong winds, is often a key culprit, sweeping fallen leaves, mud and other debris into drains and gutters and causing blockages. 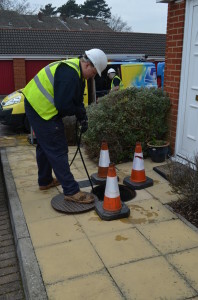 This is a particular problem in areas where drains are not regularly cleaned and maintained. However, blocked drains can also be caused or exacerbated by our own actions. For example, far too many of us flush items such as nappies, sanitary products and wet wipes down the toilet. These products are non-biodegradable and can quickly clog up pipes and drains – in fact a recent study discovered that over 90% of sewage blockages are caused by flushed wet wipes. Disposing of leftover fat and grease down the sink also puts a strain on our drainage systems. When it cools, it congeals and combines with wet wipes and other debris to form ‘fatbergs’ – large solid lumps that block drains and can be incredibly difficult and costly to remove. The treatment of blocked drains can vary, depending on the type and severity of the blockage – from the use of drain rods or caustic soda for minor blockages, through to professional drain jetting for larger blockages or those that are not easily accessed. While blocked drains can be treated, it is better by far to prevent the problem from occurring in the first place. To do this, councils need to make sure that drains are inspected regularly and well-maintained, and we can all do our bit by not dropping litter, and being careful about what we flush down our toilets and wash down our sinks. Despite the best precautions however, there are instances where a blocked drain is inevitable. And in these instances, our specialists can be on-hand 24 hours a day to clear the blockage safely and effectively – helping to minimise the damage and disruption that flooding can cause.